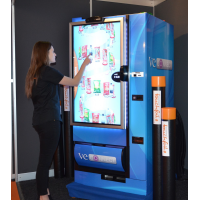 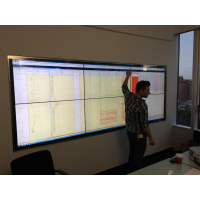 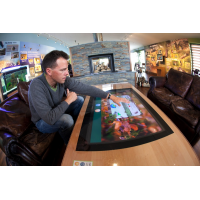 VisualPlanet are experienced PCAP touch screen manufacturers. 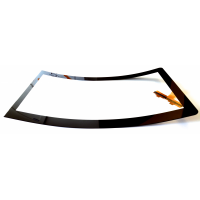 The company specialises in projected capacitive (PCAP) foils. 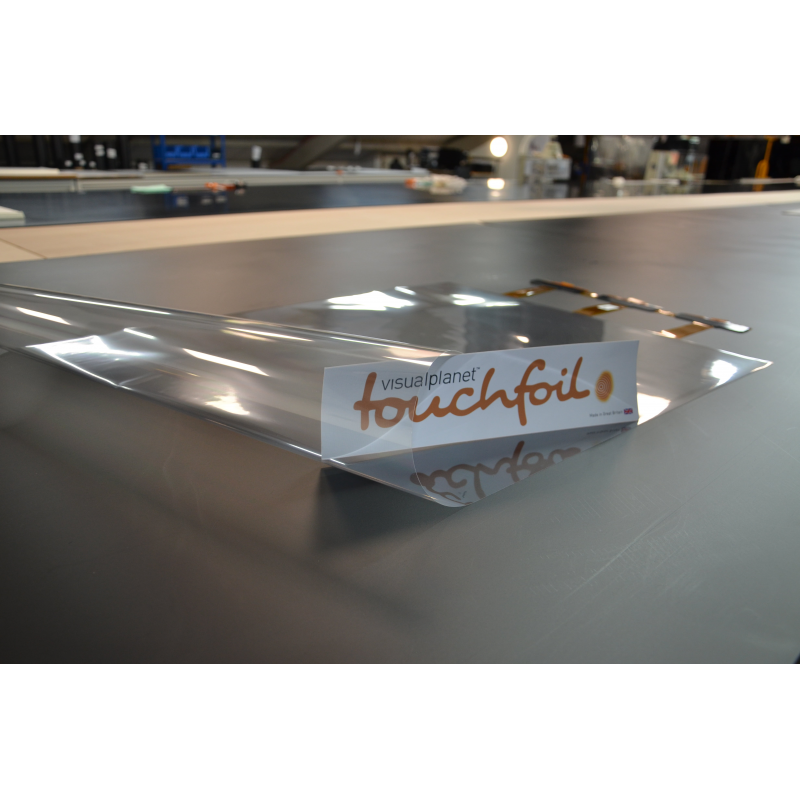 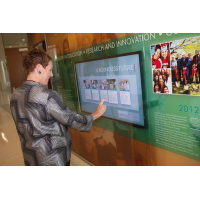 PCAP foils can be applied to a glass panel to turn it into a touch sensitive surface. 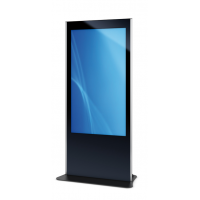 Ideal for retail displays, digital signage, industrial touch screens and more. 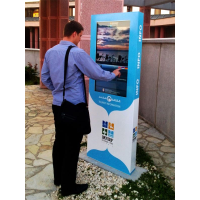 Contact VisualPlanet for a bespoke touch screen solution. VisualPlanet are the originators of the projected capacitive touch foil format. 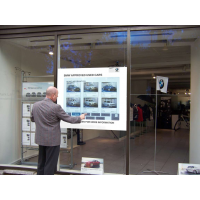 The company has over 15 years’ experience manufacturing projected capacitive sensors. 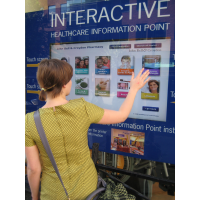 PCAP foils allow you to deliver interactive experiences in public, industrial and commercial environments. 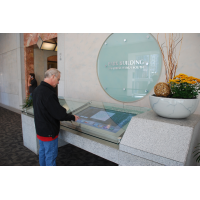 Simply laminate a PCAP film onto the back of a glass surface to turn it into a touch screen. 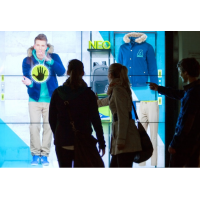 Ideal for interactive digital signage and retail displays. 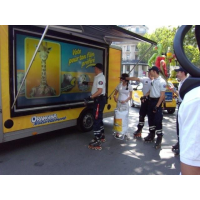 PCAP foils make it easy to create memorable experiences that engage customers with your brand and boost sales. 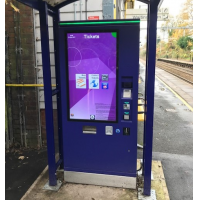 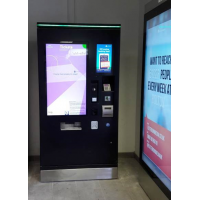 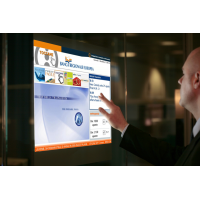 VisualPlanet’s touch overlays work on curved or flat glass and are available in a range of sizes, from 15-inch foils for self-service ticket machines to very large foils for digital signage. 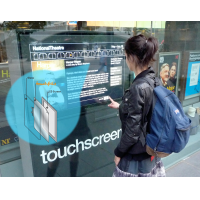 A PCAP touch film works through glass up to 10 millimetres thick, making it ideal for rugged touch screens in public places. 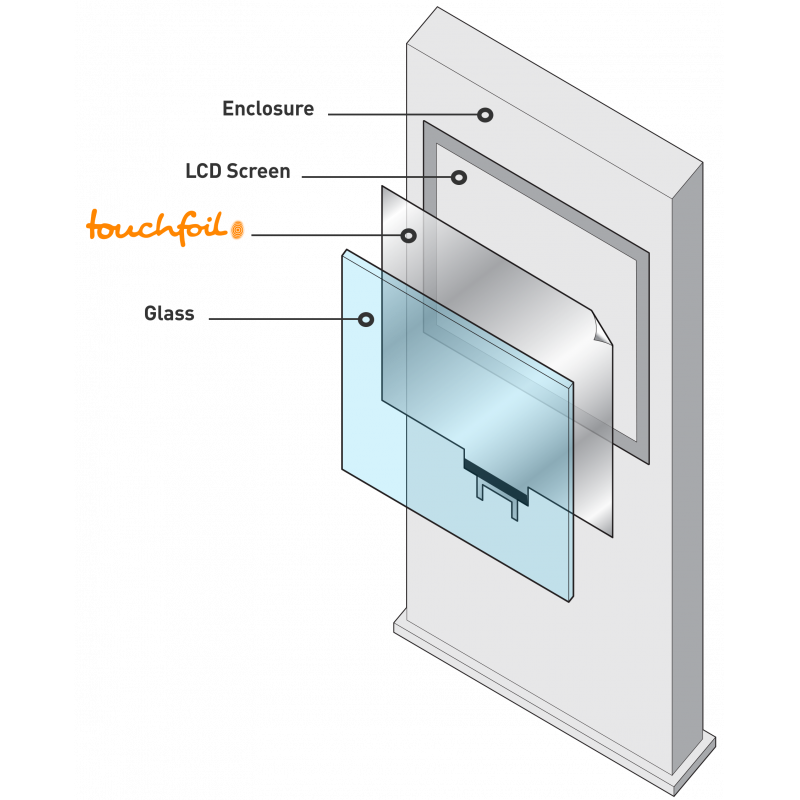 Because projected capacitive screens work when the user is wearing gloves, they are suitable for industrial, sterile and medical environments. 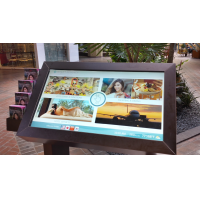 VisualPlanet’s PCAP foils are waterproof and work reliably in hot and cold temperatures, making them ideal for outdoor touch screens in harsh environments. 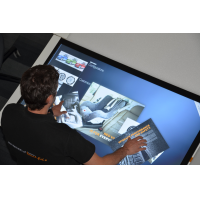 As established PCAP touch screen manufacturers, VisualPlanet provide a two-year warranty and excellent customer support for the lifetime of the product. 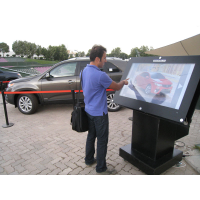 Engaging: create interactive, multi-user experiences that engage customers with your brand. 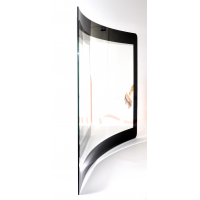 Customised: choose curved or flat glass in the exact size for you. 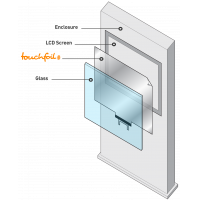 Secure: laminate your PCAP foil to thick glass for vandal-proof touch screens. 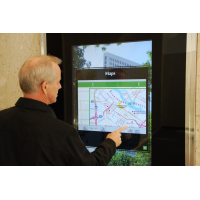 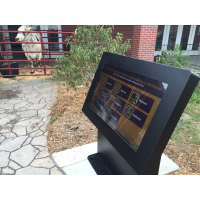 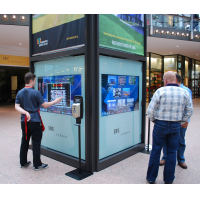 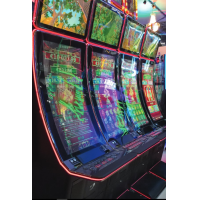 Reliable: As experienced PCAP touch screen manufacturers, VisualPlanet provide touch screens that work in heavy rain and hot and cold weather. 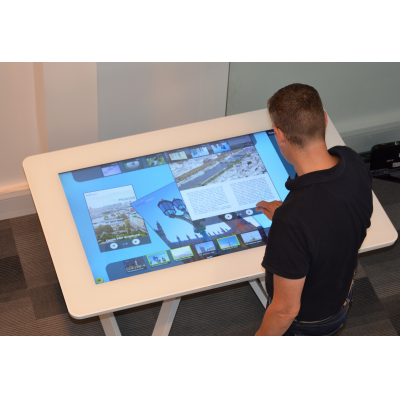 VisualPlanet are leading PCAP touch screen manufacturers, contact them on the form below.